Borders Line: WARM BODIES Brings Zombies To Life | Birth.Movies.Death. Against all odds, Jonathan Levine's zombie movie looks fresh. 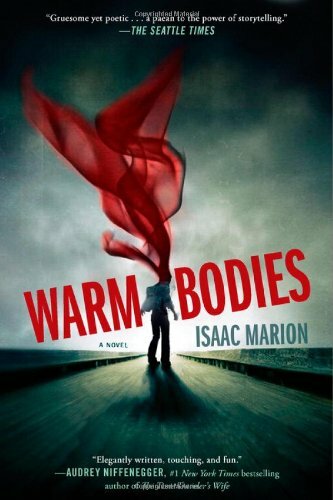 First Showing's got the trailer for Jonathan Levine's adaptation of Isaac Marion's novel Warm Bodies, and I find myself entirely delighted by it. I haven't read Warm Bodies because I've frankly been fatigued by the zombie thing for some time now. I don't mean I'll never enjoy zombie fiction again, I only mean that, much like vampires, a zombie entry needs to bring something special and new to the table if I'm going to appreciate it. And while the premise of Warm Bodies - that a young zombie falls in love with a living girl and learns to be human again - sounds more than a little twee, the trailer delivers an offbeat, earnest charm that shakes off the ancient shackles of this cashed out genre. The book is by most accounts lovely and clever, and I'll definitely check it out before the film is released in February. Because something about this trailer has secured my interest; I love the tone, gently funny, wry yet romantic. The cast is great - I like Teresa Palmer, I adore Analeigh Tipton, I think Dave Franco's just fine and Nicholas Hoult is simply wonderful. And then there's Rob Corddry and John Malkovich, so that cast is nothing to sneeze at. 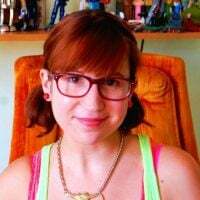 But most importantly, the film is written/directed by Jonathan Levine, a director whom I trust and admire. The Wackness and All the Boys Love Mandy Lane are each refreshing twists on established genres, but Levine really came into his own and created something lasting with his most recent venture. 50/50 is a film that has quietly instilled itself in my heart, one of those movies that will spring to mind unbidden at the slightest provocation. It's warm and honest, funny and deeply affecting. It's a movie that has earned its director some trust. This is a pretty strong combination of factors: an acclaimed novel, a great cast, a strong writer and director. But none of those factors had in any way garnered my attention until I saw this trailer. That's strong work, marketing department! How do you guys feel about it? Are you in? This gothic retelling of Outback outlaw history has one hell of a cast. Danny Strong's feature directorial debut is a trite, uninspired book of cliches.